Susan Raffy, president of Susan Raffy Consulting, has more than 25 years of experience in the personal care industry, including a number of positions in personal care R&D. Her first position after obtaining her Bachelor of Arts degree in chemistry from the University of California, San Diego, in 1982, was developing pharmaceuticals and nutritional supplements for American McGaw. She also briefly worked as a research assistant in pulmonary medicine at the University of Texas’s Health Science Center/Veterans Administration Hospital before making her foray into cosmetic formulation as associate scientist in the Allercreme Cosmetics division of Alcon Laboratories Inc. in 1985. After a few years at Alcon, Raffy continued formulating at Physicians Formula Cosmetic Inc., where she was a scientist responsible for new product development using innovative raw materials and advanced technology for hypoallergenic skin treatment. 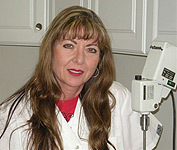 In 1990, she joined Aware Products Inc. as director of research and development/quality assurance. Her experience then transitioned to business, with positions as VP of business development/technical sales for GAR Laboratories Inc. and technical sales representative and industry specialist for Lipscomb Chemical Company Inc. Raffy went back to formulating as the director of product development for the beauty division of Guthy-Renker Corp. At the same time, she began teaching at the Fashion Institute of Design and Merchandising, where she was named Outstanding Instructor of the Year. Following, she was president of CTF Concepts Inc. and senior sales manager and technical director for Randall International LP before beginning her consulting business in 2008. Raffy is an active member Society of Cosmetic Chemists, where she has served as chair, summer event coordinator and newsletter editor for the California chapter. She is also an active member of the American Chemical Society and Beauty Industry West. Interested in Wholesale Pricing? Please contact our Wholesale Distributor Kim Zielinski at 352-362-3171 or kim@brsproducts.com.